Catalonia is undoubtedly connected in most people’s minds with Barcelona. 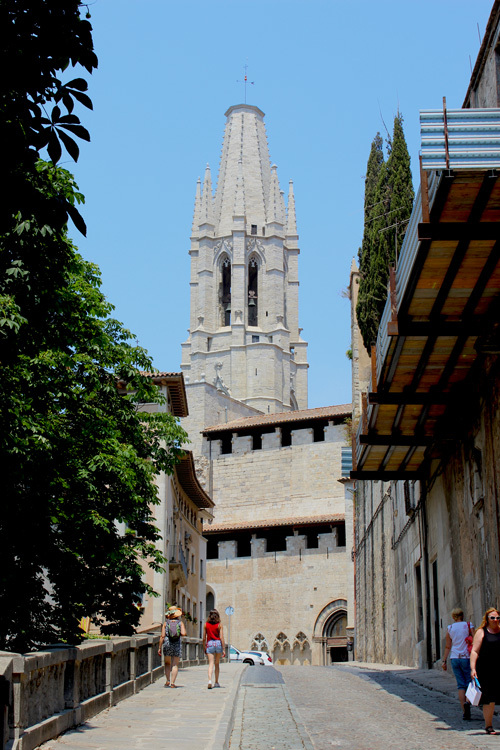 And even though that is a fantastic city, it would be a shame to forget another major city in Catalonia: Girona. 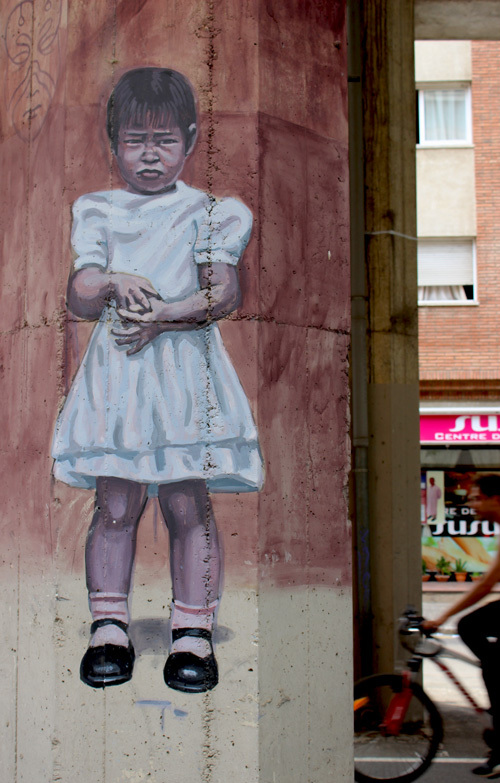 Only 99km from Barcelona is where you can find this vibrant town. By express train it takes you only 40 minutes from Barcelona to Girona. Perfect for a day trip. 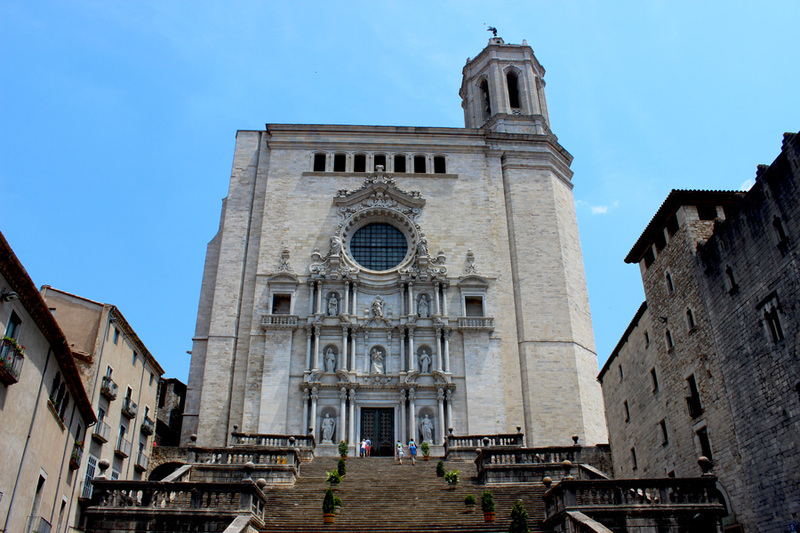 We visited Girona as part of our trip through the French and Spanish Pyrenees. I remembered seeing pictures of the colourful houses lining the river Onyar, but didn’t realise how many other beautiful sights it houses. One thing that struck me immediately when setting foot in Girona was the large amount of students out and about. Whether relaxing with friends at the riverside, or having a meal on one of the terraces at Plaça de la Independència, there was this great vibe all around. The weather was amazing, and most students seemed like having no care in the world. So much more laid-back than the students we were back in the north a few years ago. I wouldn’t mind doing another course in this part of Europe just for the experience! Girona University is located in the city centre, and has over 15,000 students. 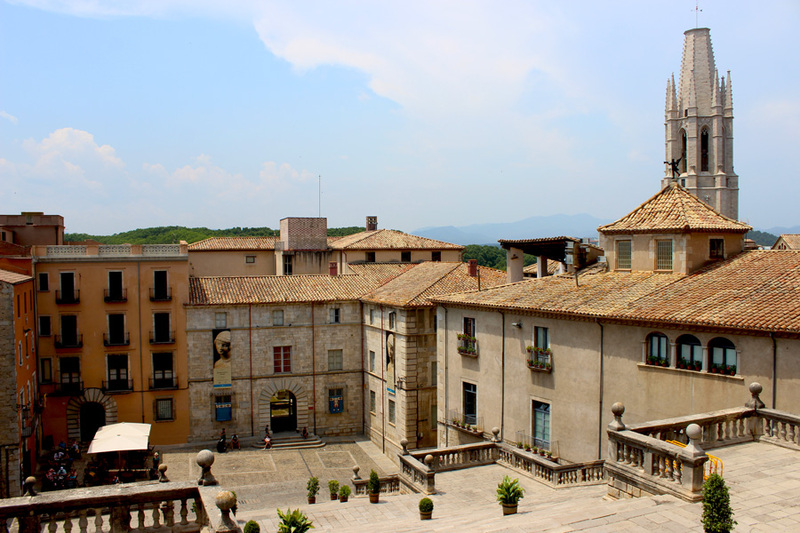 With Girona being a relatively small city, you can imagine the great, yet cosy vibes all around. As I mentioned before, I had no idea about any other tourist attractions besides the colourful riverside. 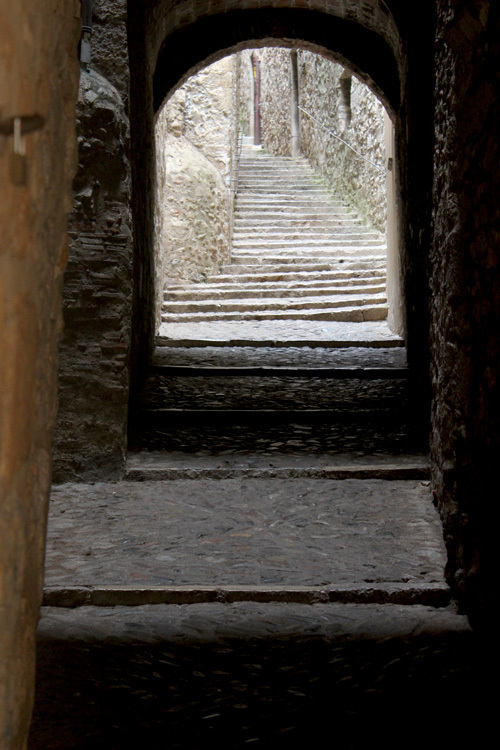 However, I soon found out when we entered the medieval part of town. The Gothic cathedral is visible from quite a distance. With 86 steps to climb (in 35 degrees heat in our case), this construction towers the city and provides for very impressive views. You can see the bell tower of Basilica of Sant Feliu already rising up from far away, and also from the top of the Cathedral’s stairs. Besides the bell tower, the rest of the building looks slightly like a fortified castle. Inside, there’s a decent collection of art, including eight pagan and early Christian sarcophagi from 4th century, as well as the Recumbent Christ from 14th century, by the sculptor Aloi de Montbrai. 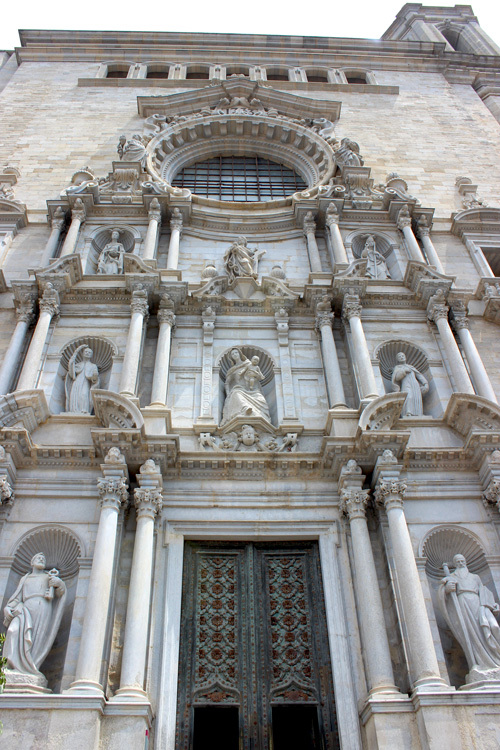 An admission charge will give you entrance to the basilica and an audio tour. 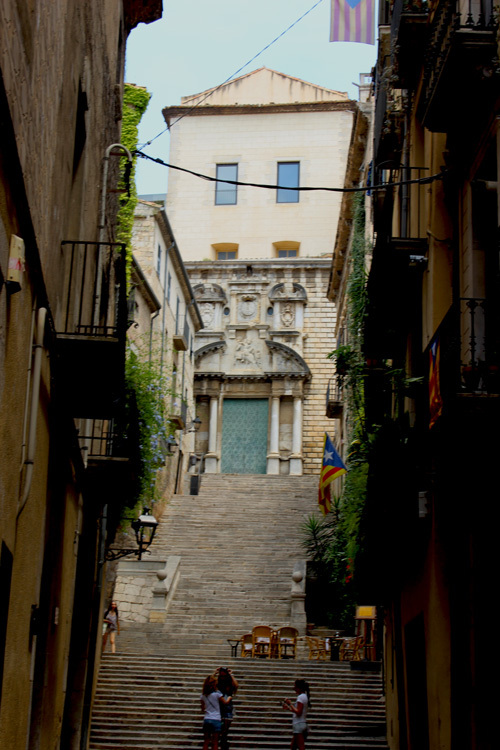 Girona has a long Jewish history, which is set out in the Museum of Jewish History. When you’re in lack of time, like us, it’s definitely worth visit the Jewish Quarter as it is a beautiful labyrinth of medieval alleys and streets. It also houses some touristy souvenir shops, but for some reason, even these are pretty! 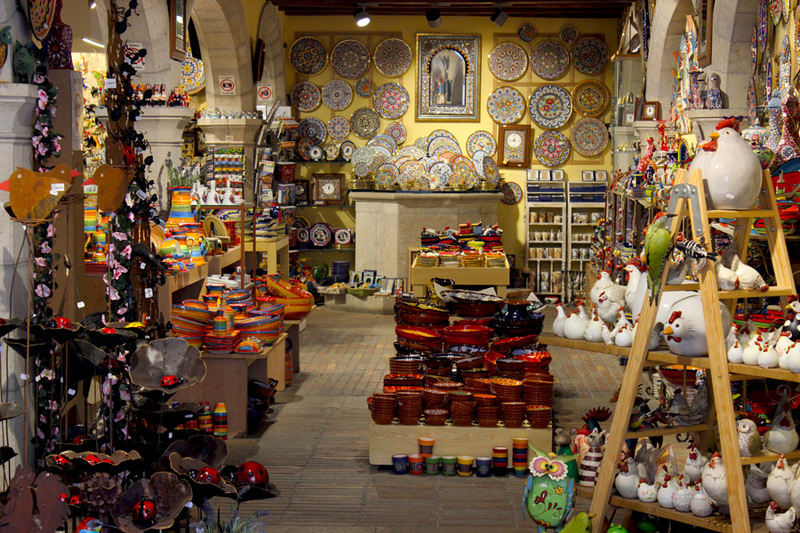 If you like shopping, you won’t be disappointed by Girona. 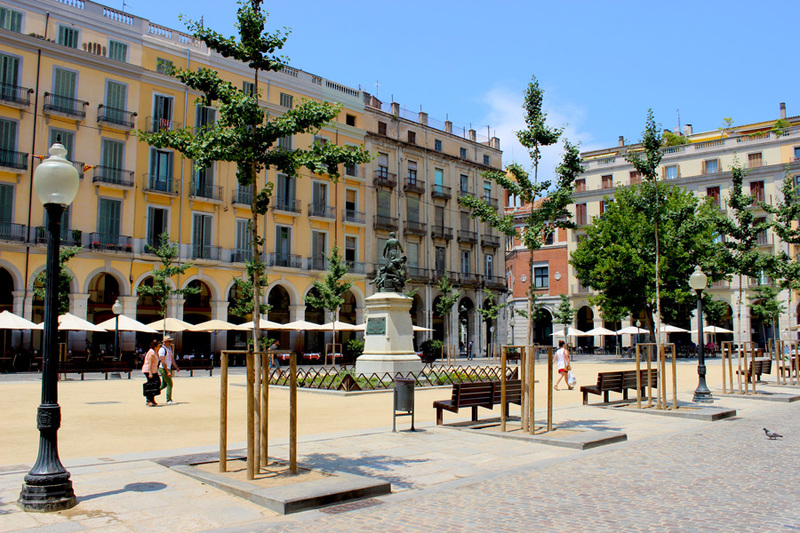 Attend the Ter River Bank Market on Tuesdays and Saturdays, or the arts and craft market at the Placa Miquel Santalo every alternate Friday. 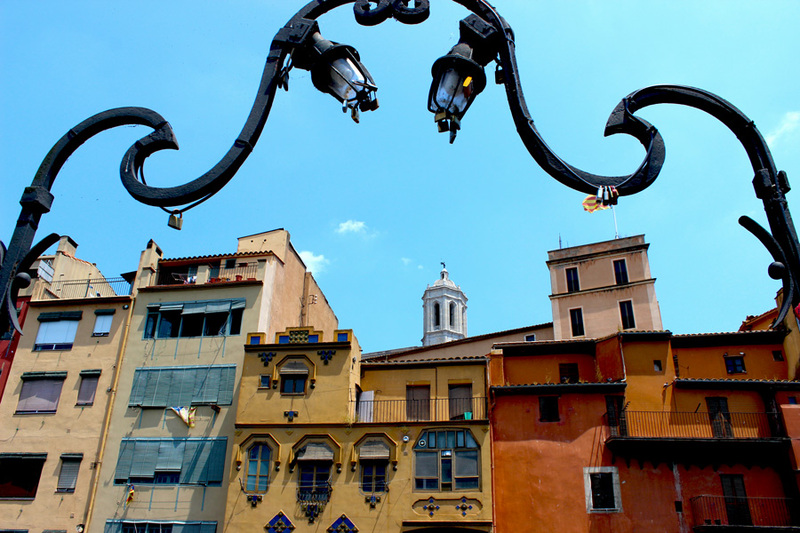 Or what about the antique market on Placa Catalunya on Sundays? 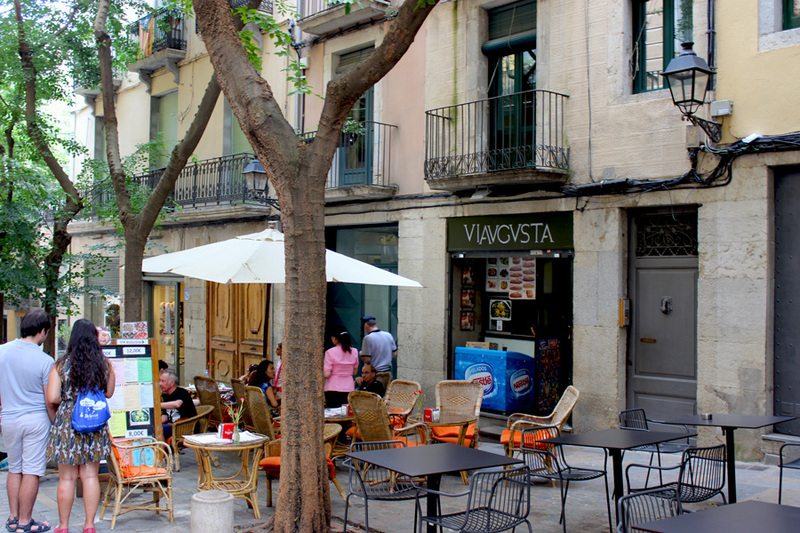 Boutique-like shops can be found scattered around the medieval streets, and more of the high-street brands can be found on Rambla Llibertat. 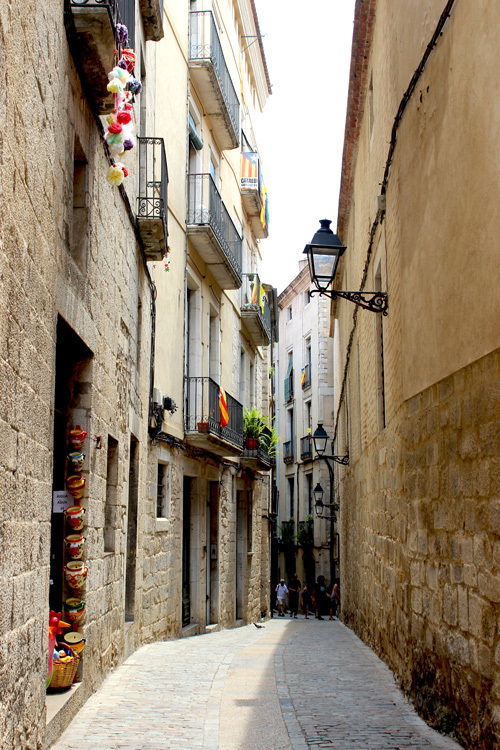 This street also includes plenty of bars, ice cream shops and restaurants, so there are enough possibilities for taking a well-deserved shopping break. 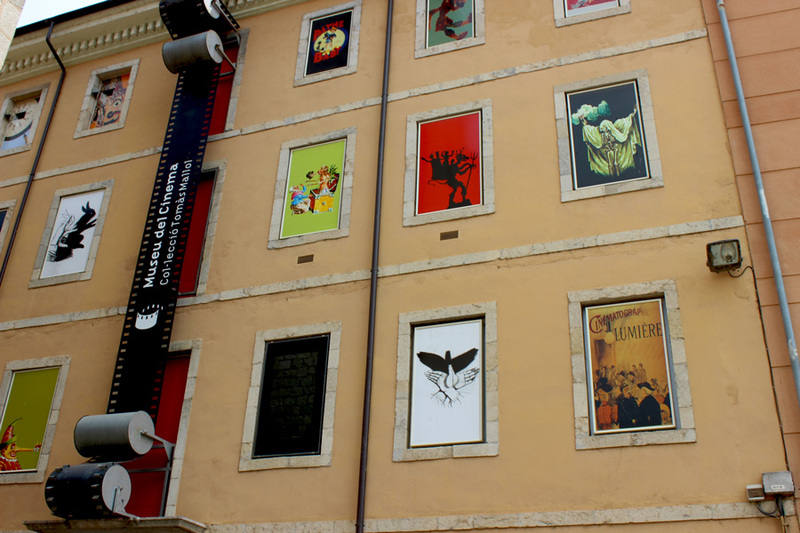 The short day-trip we made to Girona didn’t allow us to explore the Museum of Cinema. However, it’s supposed to house a great collection of pre-cinema pieces all the way to today’s cinema. That one is definitely on the to-do-list for my next visit! 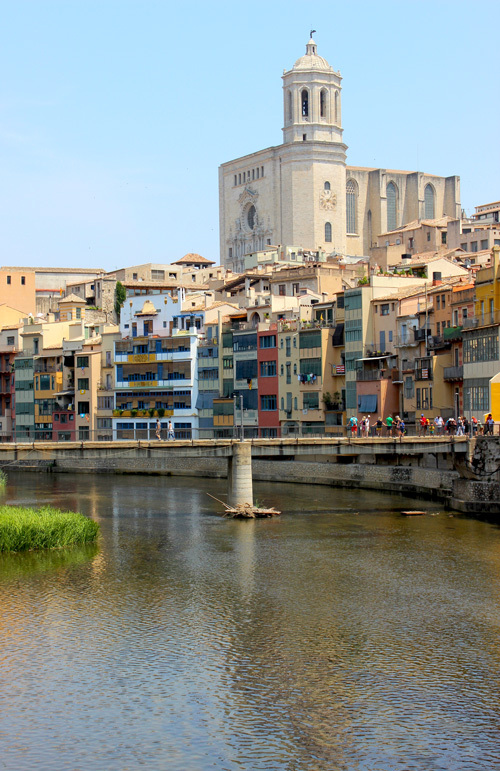 Girona is often forgotten, as the masses flock to Barcelona. However, this beautiful city houses a lot of history and excellent vibes!